While changing over to the Squarespace format I notice my blog was missing something very important - more about our little loving pitbull, August. August has been a part of my life for 5 years now and has been a loyal and loving companion. Dogs are truly, mans (or woman's…) best friend. I never knew just how unconditional she was until we had Soren. Poor thing was the center of mine and Rick's world b.c. (before child) and now she has to share our attention with the wee man. It's been tough for her, but she is managing. Now that Soren is old enough to play with her - the two get along better than ever. She's never been aggressive or outwardly mean to him, but you can see the abandonment and sadness on her face when our attention waivers or he steals her ball. I feel awful about every time we may have overlooked our sweet girl. Cheers to you pup, for being so patient and kind through it all. 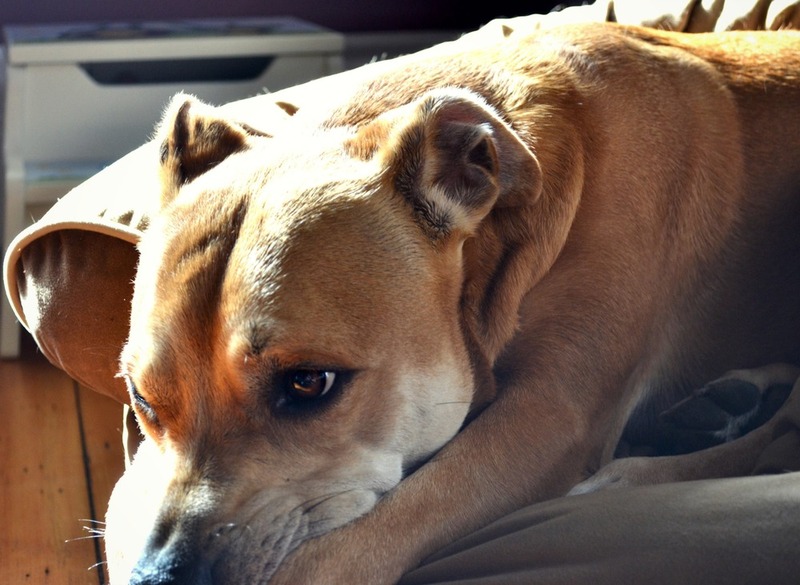 I dedicate my Tuesday blog posts to our loving pit bull. You are the best anyone could ask for. Love, love!